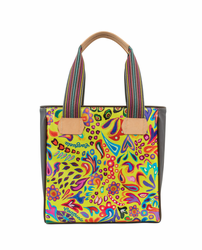 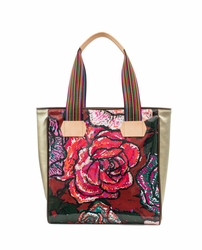 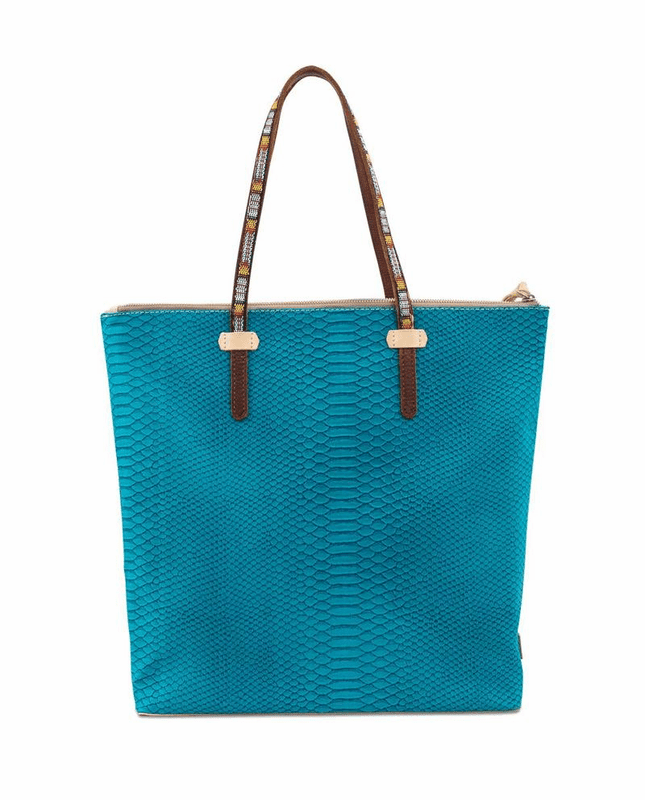 This traditional market-style tote comes in the bright Indy print with embossed leather details. 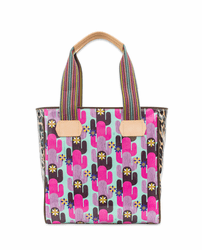 This seemly typical market tote has a crafty secret. 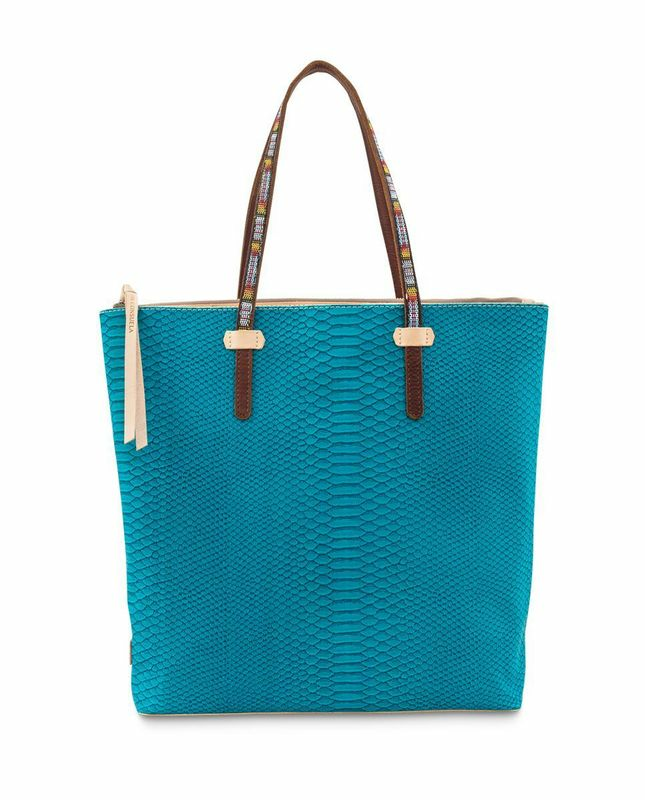 Within the main opening the back wall conceals a full-sized zip compartment to keep valuables or even a laptop and tablet secure. 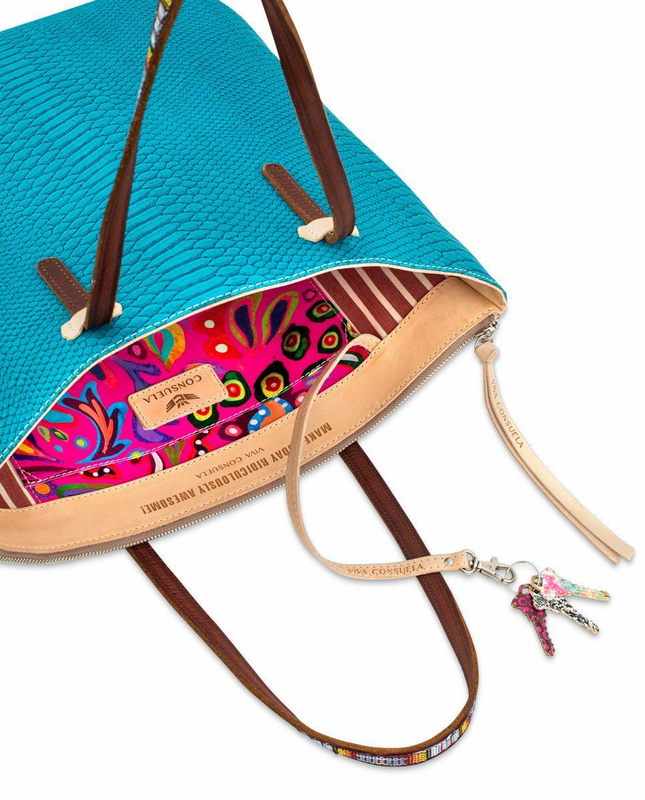 Connect the lanyard inside to keys or a pouch for an easy grab. 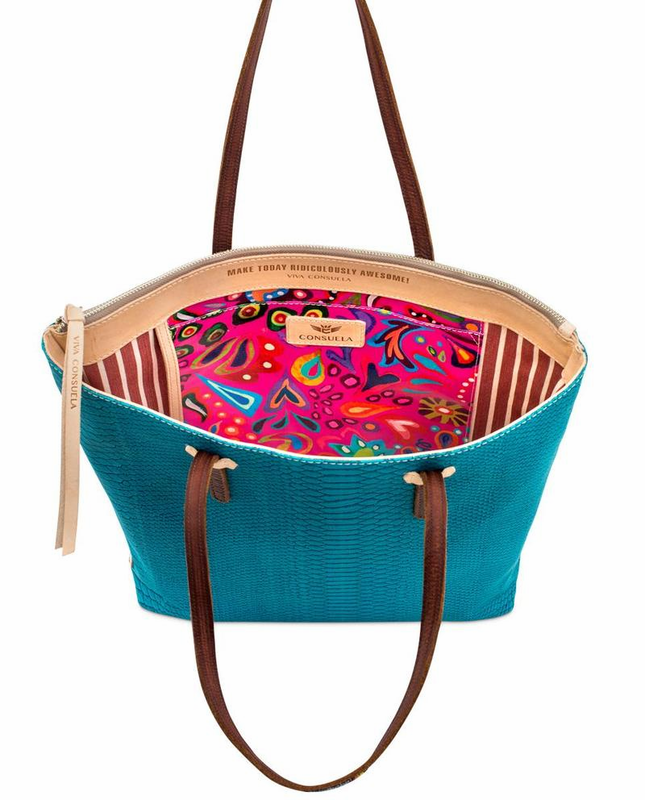 Lined in our turquoise stripe canvas and contrasted by a printed Pink Swirly ConsuelaCloth� pocket.